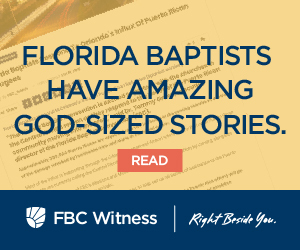 The Florida Baptist Convention exists to support local churches as they proclaim the Gospel of Jesus Christ. We’d love to hear from you and will be happy to answer any questions you have. If you already know who you’re looking for, you can check out our staff page to connect with a member of the team.